The game was a Facebook-based technical game which was originally developed by Nikki, a Russian game development company, and the studio who has been famous for top games like the shadow fight and vector game series. The game was released on 12th of February, 2011. It came with its online features in which players could play against each other and also an exploration of locations on the map was made available. The shadow Fight game is a classical one in the well-known classics like the Tekken and mortal kombat game. It offers much entertainment and much fun as it is easy to learn and understand, but can also be competitive and hard to master it fully. The Gameplay of the shadow fight game starts with an introduction to the game controls by the sensei players can perform other functions like battling each others, and coins are earned, which can be used for upgrades to enhance special abilities and skills. It comes with suspicious features at different stages; features are unlocked as the game progresses. The graphics started with 2D, then 3D as the other versions of the game were released. The shadow fight game came with in-app purchases which can be gotten on Amazon, Google play store, soft-tonic, apple app store, Microsoft at incredible prices and downloaded for free online. 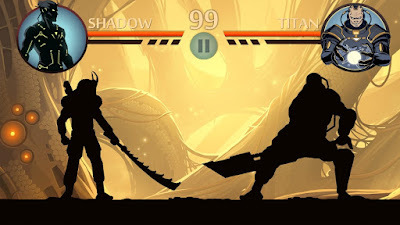 Over the years, shadow fight game became prominent and other versions, or parts were produced like the shadow fight 1, shadow fight 2. Shadow fight 3 and shadow fight 4. They will all be discussed and reviewed in the later sections of this article. The demons are Shogun, widow, Butcher, Wasp, Hermit, Titan and Lynx. Each of them has 5 guards who are to be defeated before challenging the boss. Though the primary aim of this shadow fight 2 is to defeat the 7 demons, then proceed to defeat the boss demon. There are many aspects of this game which makes its challenging and fun. In conclusion, the shadow Fight 2 features multiple players mode called underworld and this player are to team up with other players to defeat their different bosses. The modes of Underworld and Ascension can be played well without much energy. The game is available in English, French, Chinese, Spanish, Japanese, Korean and Russian. However, it is a good android fighting game and free android game. If you want to download this game just go google play and search shadow fight game. Then you see, then download it. This game has some app purchases features but you can get bypass it using the lucky patcher application. If you want to download it just go below link and download it from here.